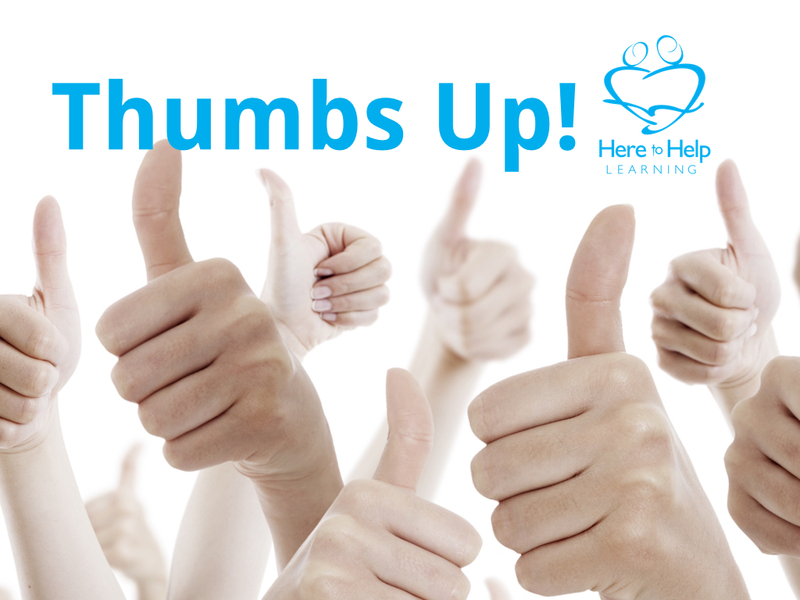 Here to Help Learning’s Homeschool Writing program is a success! “Some writing programs are just far too exhausting. That’s why we are loving Here to Help Learning! This is an amazing program that makes writing become enjoyable rather than a challenge for kids. Who knew your elementary aged child could write a book. Best writing program out there. I love the foundation this laid for future writing success. Thank you for a great year of writing! Your program provided just what our family needed for this past year. It helped my older daughter to learn to write a multi-paragraph essay and my younger daughter to write paragraphs and much more. If my kids were puppies, I would have physically seen their ears perked up when they heard your enthusiastic voice. It’s such a warming familiar sound. Your lessons are well planned out down to the smallest detail yet they don’t feel redundant. Just a quick line to say how impressed I am with your program! Even though we are only on lessons two, my kids are already loving it…they even are asking for MORE PAPER to write on! (trust me, this is a first in my house) Thank you, thank you! I just wanted to say watching the videos everyday felt like old friends coming to visit. It always brightened our homeschool day. The boys love learning about the authors. My oldest son was inspired to write his own script for a Lego Stop Motion movie and to this date all the voice recording has been completed! Off we go! And, trust me, it’s going to be a grand trip! Parents/teachers will be able to fasten their seatbelts, settle in and enjoy the flight. Your young student will be transported to a land where writing is exciting and fun. Essentially a video instruction course but coupled with guidance and direction for the parent/mentor, as well as extensive worksheets/exercises for the student, there are specific goals in mind – writing projects for the student to complete. Designed for elementary students with an airplane theme, there are six courses that cover all aspects of paragraph and essay writing. Utilizing all sorts of airplane terminology, Mrs. Mora, a homeschooling mother of eight, has bottomless energy and a seemingly endless quantity of aviation analogies. She also has a tremendous grasp of how to teach writing (actually, I suspect she could teach practically anything) in a thrilling, creative, captivating way. There is a thoroughly Christian orientation to this program; lessons are presented from a biblical worldview, character qualities are emphasized, and there’s a course memory verse. So, buckle up! Your flight is ready for take-off! Thank you so much for the joy that you brought to my son. How many 9 year old boys (today is his birthday) have the opportunity to write their own book. Mrs. Mora, you are awesome and amazing. Thanks for bringing such a big smile to his face on his birthday night. “I totally and completely recommend this product. The first year we did this program with our co-op and, though we used lowest level of writing (1st through 3rd) we quickly discovered that every one wrote to their level. In other words my seventh grade girl wrote long, involved stories while my fourth grader’s were much shorter. Beth Mora is very entertaining and she makes learning the topics fun and simple. Both my daughter’s writing skills have increased dramatically and, even though not marketed as a grammar program per se, she did a great job teaching the general mechanics of writing. It’s just enough to keep my girls from being discouraged (as has happened in many other language arts programs). –Sandy Roy, Co-Creator/Professional writer of Jonathan Park Radio series. Love this program!! My 7 year old son wants to write all the time now!!! My daughter loves it too, but she wasn’t reluctant like my son was. Now this is their favorite subject!! “We used Here to Help Learning Writing program for my two youngest boys, both of whom have drastically different learning styles. One struggled greatly with reading and writing and was very reluctant to put pen to paper. The other loved writing and wrote prolifically for the joy of it. My boys had the advantage of being in Beth Mora’s live classes for a time, and they were thrilled to continue with the online curriculum. What continues to amaze me about Beth Mora’s writing curriculum is the ease with which I was able to use one curriculum that reached both of them. If only I had this when I was homeschooling my two older children! My son challenged by autism struggled with any writing assignment that I gave him. He couldn’t understand writing prompts at all. He struggled with reading comprehension. He loved watching the videos and following along with the assignments. His writing has improved greatly after using Here to Help Learning. Here To Help Learning is a positive encouraging program to grow your children into excellent writers! We all know that one of the hardest challenges as homeschool parents is to motivate our children. Here to Help learning is absolutely the most amazing and creative homeschool writing program I’ve ever seen. The Here to Help Learning Team has held nothing back. The accompanying videos will grab your children’s imagination. The assignments are exciting. The other day I saw my wife and daughters making pop-up books. “Where did you get that idea?” I asked my wife, Sandy. Of course, it was another of the many writing projects they’ve done through Here to Help. This program has definitely helped to unlock the exciting adventure of “creating through writing” that has changed the lives of my girls! I immediately knew your program was a perfect fit for our family when I came to your booth at the 2014 Cincinnati Homeschool Convention and I keep on getting confirmation of that with each lesson. This year, each child in our co-op class (including 2 with special needs) grew in leaps and bounds in their skills, confidence and love for writing because of doing Here to Help Learning’s program. We’re excited to keep on going on more adventures with you! HTHL has been a lifesaver for our homeschooling! After 2 yrs., I was stressed out, but Beth Mora’s delightful way of engaging students brought back the joy of teaching & learning to our routine. Thank you you all for your infectious joy, energy and fun-loving personalities! “Here to Help Learning Team, I just want to thank you so much for developing this absolutely amazing writing program!!! We have an 11-year-old son who has Aspergers, and language arts is a struggle (understatement!) and discouragement for us. We have tried several things, but we have been unsuccessful in finding something that would work for him. With tears in my eyes as I write this to you, I want to thank you for using your incredible gifts that God has blessed you ALL with (each one of you!!!!) to create this program. Even though we are at the end of our homeschool year, we decided to just TRY your program with him. This entire school year, getting him to write even THREE sentences has been a struggle. I’m not even joking. His first Writing Warm-Up resulted in him filling BOTH pages and telling me he needed one more page so he could finish his story!!!!!!! Each Writing Warm-Up since then has been nearly the same!!! He absolutely LOVES the video lessons and the activities and had the writing process steps memorized after the first lesson. We loved our writing experience with Here to Help Learning’s online program! It is a WONDERFUL program! My kids and I loved all of Mrs. Mora’s characters and laughed together at Captain Knucklehead all year long!!! It was an awesome year that we will treasure! We have purchased HTHL workbook and DVD set to use next year and we are very excited to dive into writing again with Mrs. Mora!!!! Thank you for all your hard work creating such an exceptional program! “Thank you for your AMAZING skill and heart Beth. I just want you to know, that you made this past semester a true joy … and they have loved EVERY moment of it… me too. “I just wanted to send you a quick note and let you know how very blessed I was by my time speaking with you this past weekend in Modesto. Both of my children, as well as my-self, came away blessed and encouraged by your amazingly sweet and encouraging spirit! Thank-you so much for reaching out to another “tired” momma!!! God bless you !